Actor Edie Falco in a taxi with her children Anderson and Macy. Fashion Designer Betsey Johnson taking her first-ever selfie. Playright, actor, and composer Lin-Manuel Miranda at the United Palace Theatre in Washington Heights, Manhattan with his wife and father. Yemeni-American Political Analyst Ibraham Qatabi in Bay Ridge, Brooklyn. Musician Isaiah Richardson, Jr. outside the Metropolitan Museum of Art in Manhattan. Rick Lee, popularly known as The Hipster Cop, at home in Staten Island with Bertie, his Shetland sheepdog. Irwin Reiter, a Weinstein Company Executive, in Lower Manhattan. CUNY students Neghena Hamidi, left, and Nerdeen Kiswani in Washington Square Park in Manhattan. Yugely Nuñez and her daughter who share a genetic retinal disorder at home in Brooklyn. A Brooklyn woman holds a photo of her missing son, eventually found safe, after a devastating earthquake struck Haiti in 2010. DJ Whoo Kid and comedian Jay Pharoah driving in Manhattan. 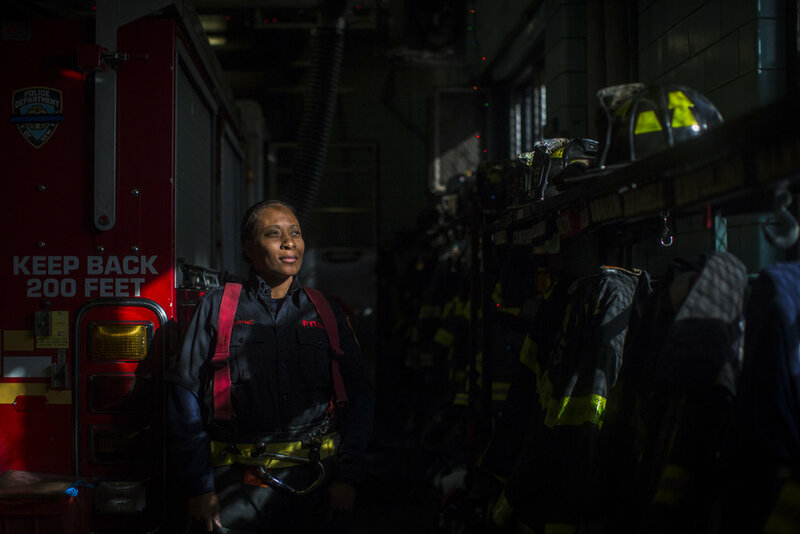 Jackie-Michelle Martinez, the FDNY's first women's outreach coordinator at her firehouse in Queens. Mets pitcher Matt Harvey at home in his Manhattan apartment. Actor Betsy Brandt, known for her role on Breaking Bad, at home in Manhattan. 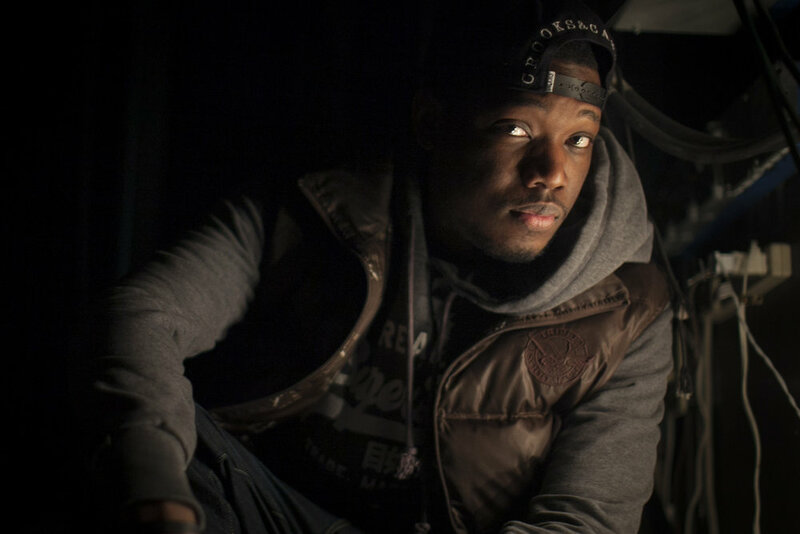 SNL Weekend Update Co-Anchor Michael Che backstage in Brooklyn. Jane Pratt, founder of Sassy, Jane, and xoJane at home in Manhattan.